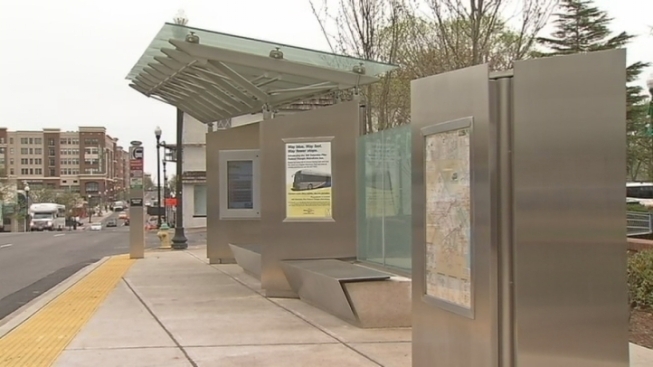 A streetcar planned for the Columbia Pike area might be held back by cost. Columbia Pike is changing -- redeveloping with better transportation as a focus. Resident William Smith told News4 he sees no need for a street car. He's able to get around just fine. The new streetcars would be sleek and modern. The hope is that economic development would roll in with them. When some learned that just one of the stops for the line cost about $1 million, they turned cold on the streetcar project. "The bike lanes around here are great,” resident Naise Thaker said. “The bus lines are really frequent and reliable. I don't think there's any need." The county was hoping for about $75 million in federal funding for the project but was just told that money won't be coming. Unfazed, Arlington County Board Chair Walter Tejada said the project will keep moving. "The Columbia Pike area is the busiest transit corridor in the entire state of Virginia,” he said. “We are basically now at capacity for buses. So we need to add more capacity so that we'll be able to move more people." He said the streetcar also gives people a reason not to own a car.